The holiday season is in full swing... and there’s plenty to swing about in jazz city. Start the weekend with a good dose of Patty Peterson, at the Artists Quarter Friday night (12/4) with the Phil Aaron Trio. Patty usually brings on her own band so this is a bit unusual and promises to be a dynamite combination. 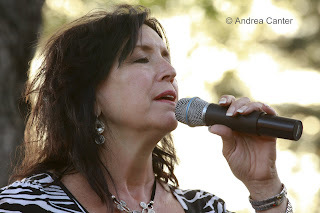 Further east in Stillwater, swinging in a personally inventive direction, singer Nancy Harms will be entertaining all at Ruby Begonia’s in Stillwater on Friday night (12/4); she’s back at Erte in northeast Minneapolis on Wednesday, 12/9. Stay out late, and catch the Zacc Harris Quartet at the Dakota for the “Late Night” gig starting at 11:30 pm. Saturday night offers the best of young talent at the Dakota with the annual appearance of the Dakota Combo. 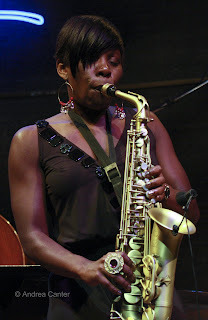 Guest artist this Saturday night (12/5) is saxophonist Tia Fuller. I first heard Tia when she brought her exemplary hard hitting quartet to the Dakota in July. Still qualifying as a “young” artist herself, Tia has garnered a lot of attention (and steady work!) in Grammy nominee Beyonce’s touring band, but her jazz and teaching chops are what brings her to the Dakota and to rehearsal and a clinic with the Combo. While Tia is a talent deserving wide recognition, the weekend is also all about nurturing younger talents—in this case, seven of the most exciting high schoolers you will hear. With only two seniors, this is the youngest band to be selected as the Dakota Combo, and the presence of three young women in what has been a very male dominated band is almost as exciting as the instrumentation – a “hornline” including 2 saxes, trombone and violin! Adam Linz, new coordinator for jazz at MacPhail, leads these lion cubs through modern and classic jazz repertoire and at least one original tune as the students work on improvisation and composition throughout the year. This is the first major public appearance of the new Dakota Combo, and their enthusiasm and skill will surprise and entertain. These are very serious musicians. If avant garde is your taste, one of the best will be at Walker Saturday night (12/5) – cellist Erik Friedlander. Pitchfork summed it up: "Erik Friedlander can do things with a cello that should have a reasonable listener fearing for her life. Rostropovich one second and Rottweiler the next." This show (Block Ice and Propane) features “cinematic cello compositions” inspired by family road trips paired with images created by Erik’s father, celebrated photographer Lee Friedlander. Come back to the Dakota at 11:30 for a “Suicide Squeeze” with saxman Bruce Thornton and a rhythm section of Patrick Harrison, Chris Bates and Joey VanPhillips. And of course the usual weekend line-up includes JoAnn Funk and Jeff Brueske at the St Paul Hotel Lobby Bar (Friday/Saturday), the Benny Weinbeck Trio at D’Amico Kitchen in the Chambers Hotel in downtown Minneapolis (Friday/Saturday), the Fantastic Merlins at Black Dog in St Paul (Friday), Irv Williams at Il Vesco Vino in St Paul (Saturday), and Charmin Michelle and Rick Carlson at Crave in St. Louis Park (Sunday brunch). More standing gigs during the week include Charmin with Denny Malmberg at Fireside Pizza (Monday and Wednesday), modern music at the Clown Lounge in St Paul on Monday (Fat Kid Wednesdays on 12/7). 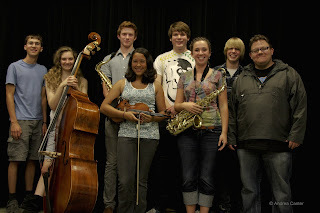 Monday also features a free concert from the U of M Jazz Ensemble I at Ted Mann. The Tuesday Night Band follows the Cory Wong Quartet every Tuesday at the AQ. At Hell’s Kitchen, Maud Hixson swings with the Wolverines on Wednesday (12/9), while Arne Fogel and his trio perform on Thursday (12/10). Holly Cole brings her holiday show to the Dakota 12/8-9, while the AQ has two of its best regular gigs, Tanner Taylor Trio on Wednesday, and How Birds Work on Thursday. Looking ahead: You have two great holiday choices on Sunday, 12/13 with the Laura Caviani Holiday show at the AQ (featuring Lucia Newell and Hip Santa Davis Wilson) and a reprise of “A Copasetic Christmas Carol” with Charmin Michelle and Doug Haining at the Dakota. The Atlantis Quartet releases their new CD on 12/18-19 at the AQ, Bruce Henry joins Debbie Duncan and Lee Engele to salute the 60th anniversary of Birdland at the Bloomington Center for the Arts on 12/20, Connie Evingson has two holiday shows coming (12/18-19 at the Bloomington Center for the Arts and 12/27 at the Jungle Theater), The Peterson Family celebrates at the Dakota on 12/20-21, Billy Carrothers visits the AQ on 12/26, and the Bad Plus reign at the Dakota, 12/25-27.